Earn Extra Money from File Sharing site - today i will share a easiest way and trustful website that is giving money the users. Yes guys, if you are running a blog which about file sharing or file download website, then you will make extra money from your website. Today i will share this site because this is real and more than one year are trusted. You can search on every format regarding this site, you will come to at one point as this is real and trusted site for earning by uploading files. Userscloud - yeah guys, this is best site my ever saw. By uploading files on Userscloud, you can make some extra money from your file sharing or file download website. This is the best, real and trusted file sharing site that is pay their users. Also there are lot of sites which gives the money but Userscloud is one of the best while in case of withdraw your money and in other services. The site with their maximum uploading files rates are listed below with brief explanation and signup methods. If you are running your sites with only 1000 viewers everyday; you can easily make more than 10 USD by use this site, any there are no limits for earning. Userscloud file hosting site, give you a smart revenue for every download. 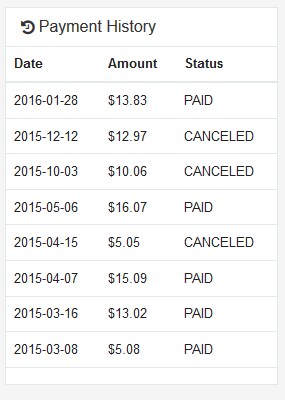 In below i am shared a small screenshot of my small income from userscloud. Paypal: Invoice required, Only payment from 5 USD to 25 USD. Invoice guide! Payment every 4 weeks. Weekly Payment: Amount up to 25 USD will get paid weekly. Not for Paypal Payments. Wire Transfer: $200 Minimum + $13 Fee, Contact Us to use Wire Transfer. Payment date: First payment in 24 hours. Next payment 4 weeks after requesting the payment. I looked for any earning method in usercloud but find nothing. Have you earn anything from them? please share your payment proof. he already shared his payment proof on this post, try to find it.